Kermit Says: Think Pink and Fight! Born in Georgia in the 1920s, a courageous woman named Rosalind moved to Chicago in hopes of a better life for herself, her husband, and her future children. After hard work, faith, and prayer, her hopes eventually turned into realities as she became a wonderful teacher, her husband a devoted laborer, and her three children graduate-degree recipients and successful employees in their respective careers. Blessed with many happy years and beautiful surprises (like six grandchildren), Rosalind’s extraordinary life took a turn when she was diagnosed with breast cancer. Breast Cancer (n): an unbelievably, heartbreaking, and life-changing beast that can and should be conquered. 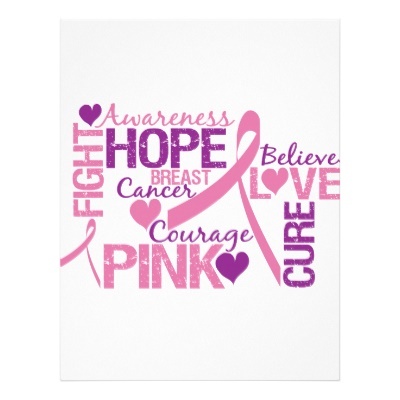 October is Breast Cancer Awareness Month, which is more than about “saving the tatas”– it’s about saving lives. It’s about letting women and men like Rosalind, my grandmother, live their lives without the unnecessary pain and suffering of this disease. So, let’s honor them. Let’s honor the fighters–those who lost and those who won. Let’s honor their loved ones–those who encouraged them to keep fighting. Let’s do something. Let’s make a difference. Schedule a clinical breast exam every three years if you’re between the age of 20-39, and an annual mammogram starting at age 40. It’s also important to conduct self-examinations as early as your 20s, especially if you have a family history of breast cancer. Gain and raise awareness by participating in pink ribbon walks! Fight for a cure by writing your local and national elected representatives to continue funding breast cancer research!